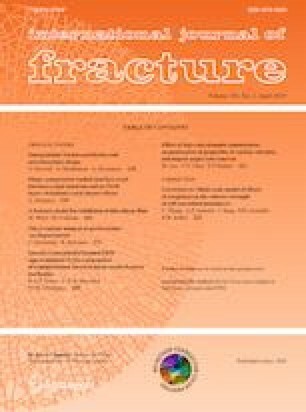 The third Sandia Fracture Challenge (SFC3) was a benchmark problem for comparing experimental and simulated ductile deformation and failure in an additively manufactured (AM) 316L stainless steel structure. One surprising observation from the SFC3 was the Challenge-geometry specimens had low variability in global load versus displacement behavior, attributed to the large stress-concentrating geometric features dominating the global behavior, rather than the AM voids that tend to significantly influence geometries with uniform cross-sections. This current study reinvestigates the damage and failure evolution of the Challenge-geometry specimens, utilizing interrupted tensile testing with micro-computed tomography (micro-CT) scans to monitor AM void and crack growth from a virgin state through complete failure. This study did not find a correlation between global load versus displacement behavior and AM void attributes, such as void volume, location, quantity, and relative size, which incidentally corroborates the observation from the SFC3. However, this study does show that the voids affect the local behavior of damage and failure. Surface defects (i.e. large voids located on the surface, far exceeding the nominal surface roughness) that were near the primary stress concentration affected the location of crack initiation in some cases, but they did not noticeably affect the global response. The fracture surfaces were a combination of classic ductile dimples and crack deviation from a more direct path favoring intersection with AM voids. Even though the AM voids promoted crack deviation, pre-test micro-CT scan statistics of the voids did not allow for conclusive predictions of preferred crack paths. This study is a first step towards investigating the importance of voids on the ductile failure of AM structures with stress concentrations. We would like to thank Dr. James Redmond for managing Sandia’s role in this work through the DOE Advanced Scientific Computing program and Dr. Dennis Croessmann, Dr. Scott Peterson, and Mr. Darrick Jones for their management role supporting the experimental efforts at Sandia through the NNSA Delivering Environments program. This paper describes objective technical results and analysis. Any subjective views or opinions that might be expressed in the paper do not necessarily represent the views of the U.S. Department of Energy or the United States Government. Sandia National Laboratories is a multimission laboratory managed and operated by National Technology and Engineering Solutions of Sandia, LLC, a wholly owned subsidiary of Honeywell International Inc., for the U.S. Department of Energy’s National Nuclear Security Administration under contract DE-NA0003525.